Akbar caught sneaking a peak into his book! 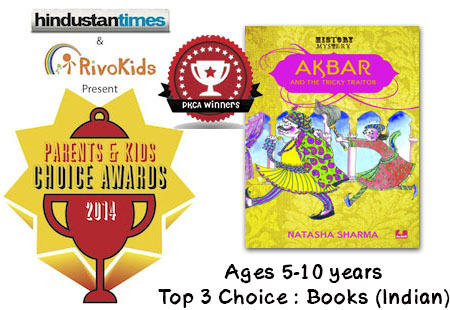 Voted to the Top 3 in the RivoKids Parents and Kids Choice Award 2014 (5-10 years). The mighty Mughal emperor Akbar is angry for someone is leaking secrets of his court to his enemies. What’s worse his enemies are now laughing at Akbar. A History Mystery is just that – a mystery set in history! Mysteries that you’ll never find in history. Loaded with humour, they are sure to have you gasping, for facts are often as surprising as fiction. Did Akbar like to watch spiders fight? Did he climb on an elephant using the tusk as a step? Did he train leopards and cheetahs? 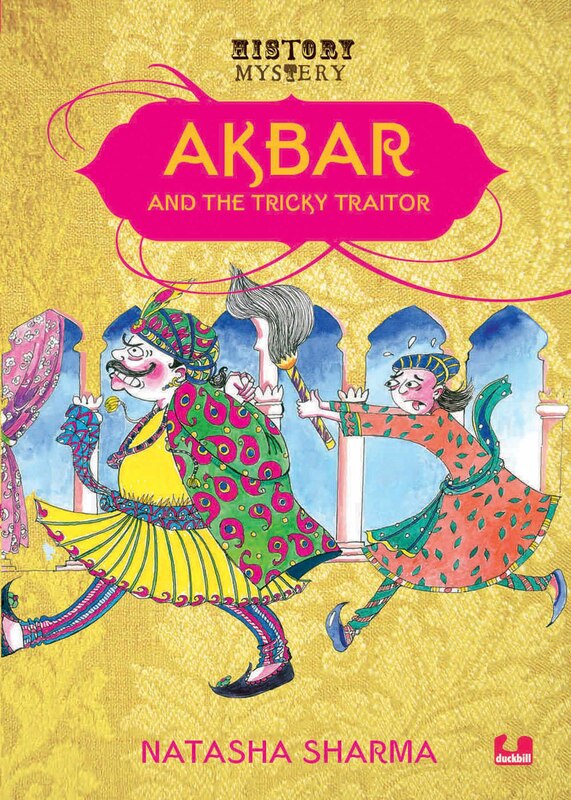 Find out as you follow the mystery in Akbar and the Tricky Traitor! 4. The illustrations are apt and not over the top. 5. The simple English which makes it easy to read without compromising on the language.